Me, Eugene, Marij and Marte set off for Sa Pa with the intention to trek, having heard stories from other travellers about pouring rain and a horrific amount of mud. We must have timed it perfectly because the weather for us was actually awesome!! Sure it’s a little colder than the rest of the places I’ve been so far in South East Asia but we had a great combination of either scenic mist and cloud or bright sun, which made for spectacular views, the area incredibly beautiful. 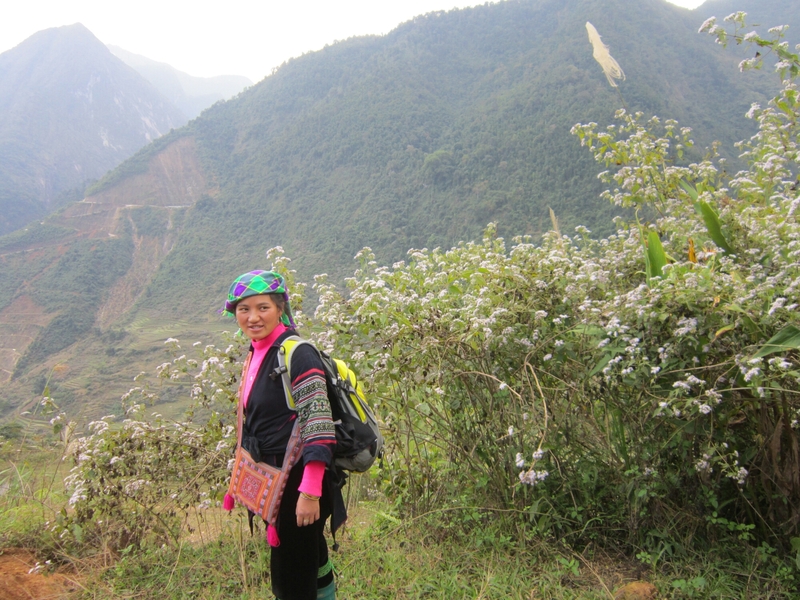 After a night in a pretty dodgy hostel/hotel type structure thing (I think that description is fair) we set off on a 2 day trek with our guide Peng, who is of the Hmong people. I really like the Hmong, having encountered them in Thailand and Laos previously. There are a few other ethnic tribes around the area too. Initially we had a group of other tribeswomen with us, they tend to walk with tourist groups as they make their living from selling bags and other crafts. They made Marte and Marij hearts out of grass/sticks and me and Eugene little horses which was really nice. We were trekking above the famous valley (apparently a less touristy route) and it gave us some amazing views as the valley was filled with mist which later cleared. 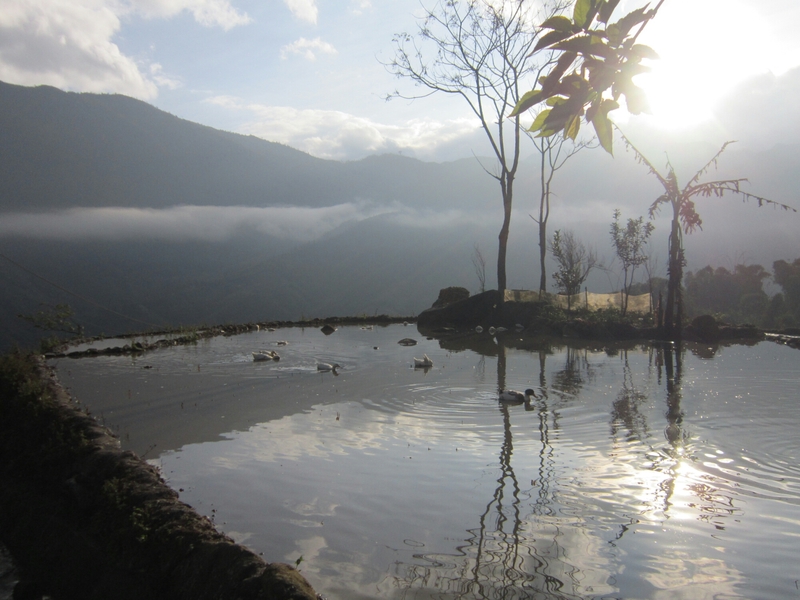 The rice terraces were filled with water from all the rain and I found this made it even more beautiful. Plus plenty of of Water Buffalo, Ducks, Chickens and Pigs around to add to the atmosphere! We passed through a couple of villages, it’s great how all the kids wave and say hello! Always insightful to see how the minorities live as well. We stopped for lunch at one of the spots for treks to eat, our guide told us there was normally two but only one was open at that point, I think because of how the weather had been recently. To sleep we stayed at a homestay in a minority village. There were a couple of other trekker’s there too (from Québec) and we had dinner with our guide, their guide and one of the guys from the homestay. Both meals I got some really great tofu, rice, vegetables and vege spring rolls. 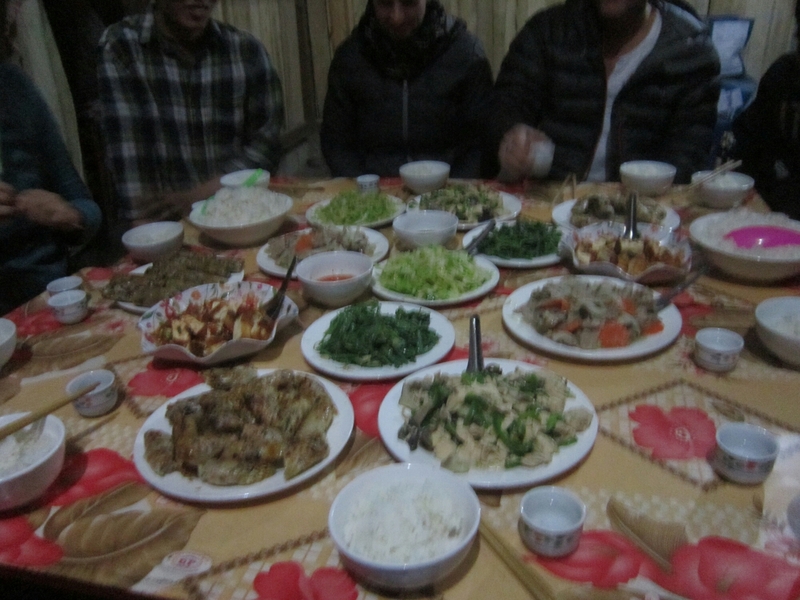 Had no problems being vegetarian at all, the people were very accommodating and the food was as very tasty!! The homestay itself was crazy different from what I’d experienced on my last trek in Laos, largely because it actually had not only a toilet but also a hot shower!!! We each grabbed a couple of the thick blankets so we’d stay warm, the area in pretty cold at night in January! After breakfast the next day we set off again at around 9am, crossing more beautiful rice terraces and villages. In one village their were police doing checks on people riding motorbikes to see if they had a licence, it was funny to see all these kids (mostly teenagers) stopping around the corner and then flagging down their mates to warn them. Eugene said he’d like to imagine that after we passed it turned into a stand off akin to the film Greece, it certainly had that feel! We ended by walking down into this beautiful valley and then having lunch in another homestay before getting a lift back to Sa Pa at around 2:30pm. That evening and the next I stayed at the Sa Pa Vietnam Backpackers branch (Mountain View) which is a really nice place just to chill out on some cushions and hide from the cold. 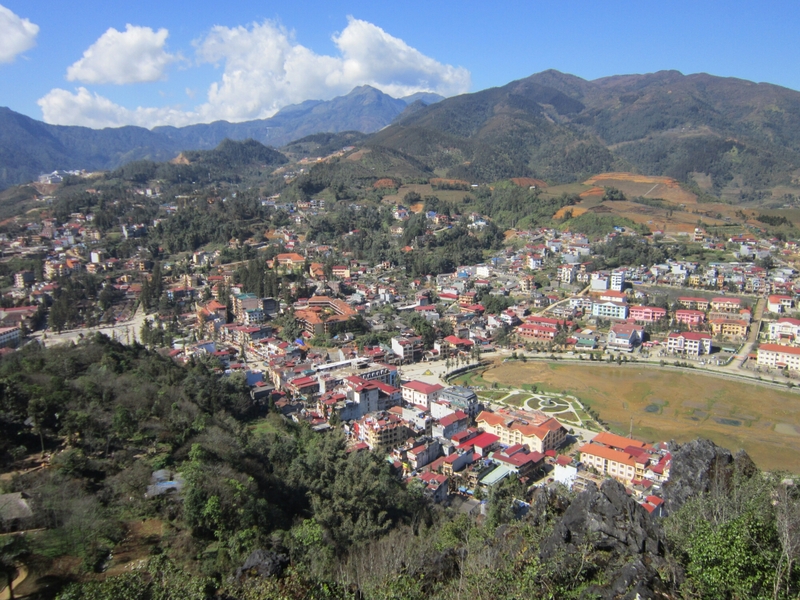 I spent the next day being pretty lazy though I did go and explore the tourist area on Ham Rong Mountain, which gave some great views of Sa Pa town and was pretty relaxed, especially further up where there weren’t many people. I managed to catch up with Ülie again in the evening, always nice to see a fellow Henry! (See Laos posts). We went out for dinner with 2 girls I met in my hostel, Maddie (USA) and Manj (England). Last day in Sa Pa and me and Maddie headed off on a trek of our own, with google maps as our guide. 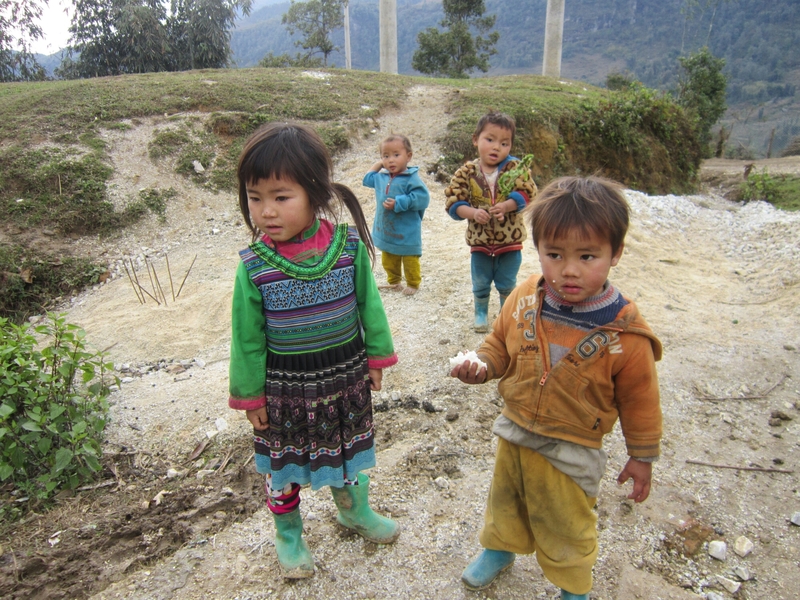 We trekked to the Red Dao (minority tribe) village Ta Phin, and had beautiful sunshine the whole way!! 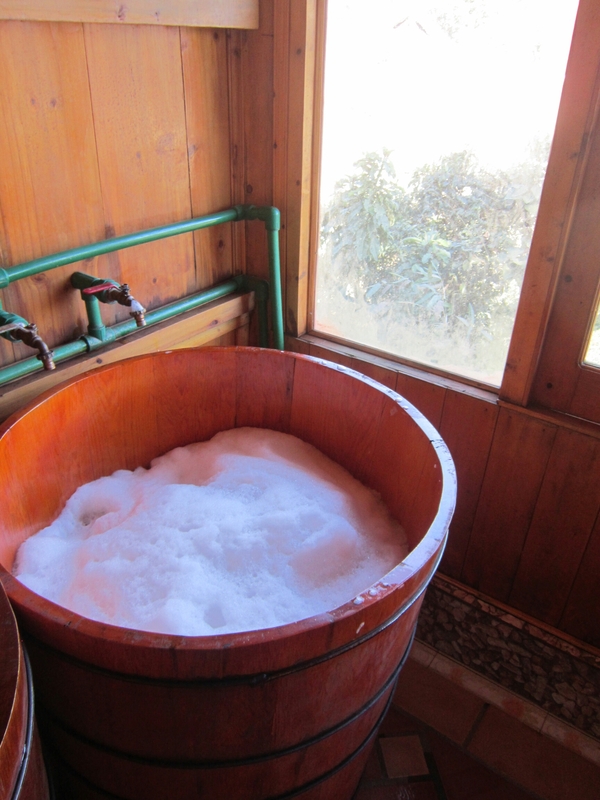 In Ta Phin we then had a herbal bath which the Red Dao are known for. You each sit in a barrel full of water and what is essentially tea leaves and just kinda chill for awhile and relax! It was kinda odd but cool to try out! After we taxied back to Sa Pa and that evening me, Marij and Marte headed off on the night bus back to Hanoi. 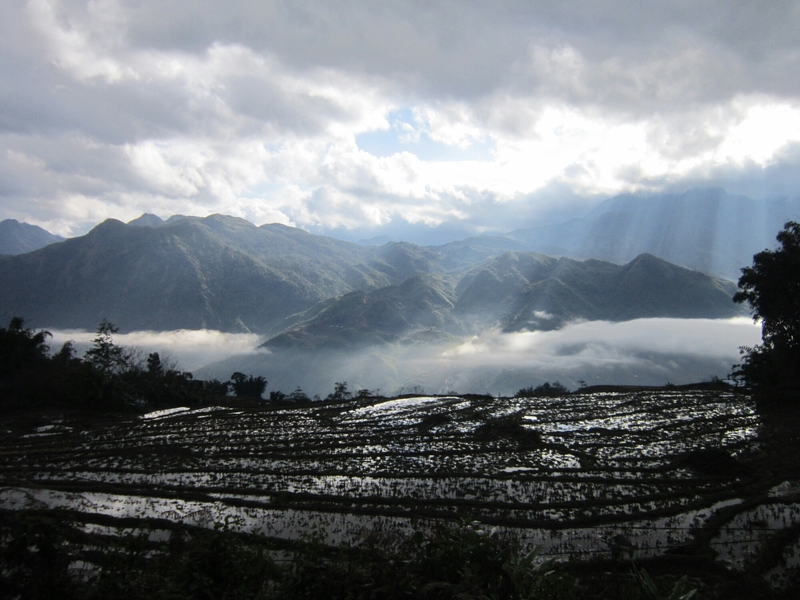 I really loved Sa Pa, one of the major highlights not just of this trip but all my travels so far! 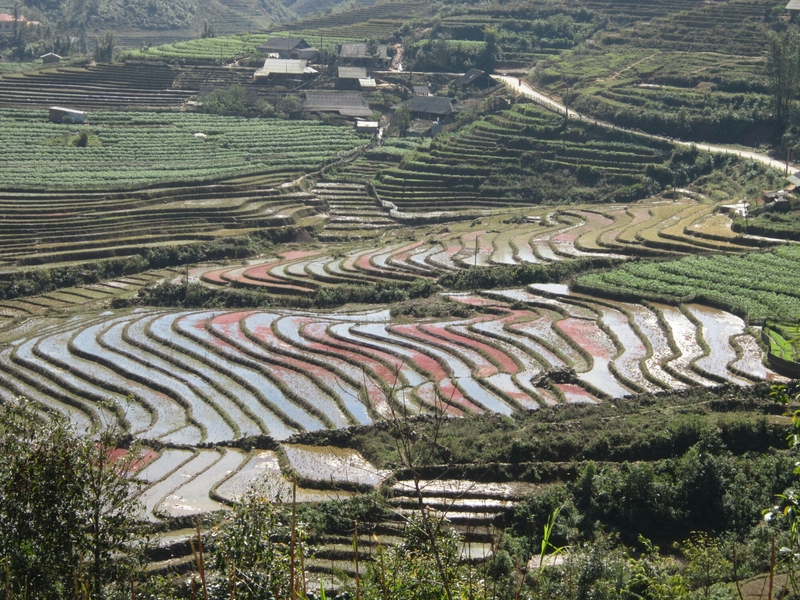 Sapa looks beautiful! Do you mind if I ask how much the trek was? I’m trying to decide whether I can go (the weather and Tet being a bit of an issue). It was around 45 dollars a person, which given that includes meals we thought was really worth it 🙂 Deffo recommend it, one of the highlights of all my travels!